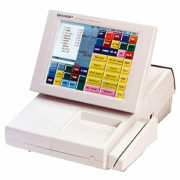 The compact, high-performance ER-A450T is the perfect choice for retailers that have scanning requirements. 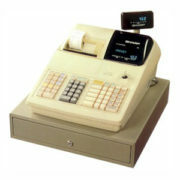 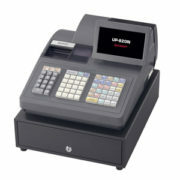 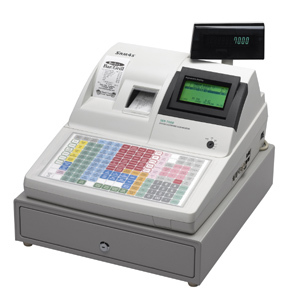 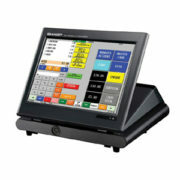 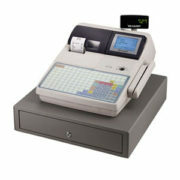 The ER-A450T offers superior hardware features and software functionality not normally found in electronic cash registers in this class. 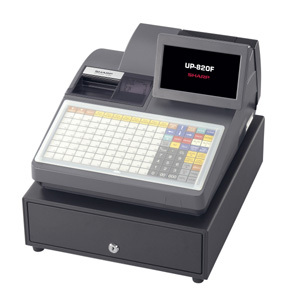 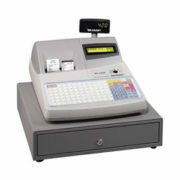 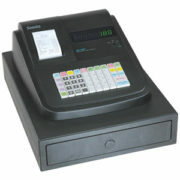 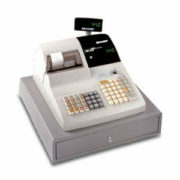 • Thermal Printing – High-speed, super quiet alphanumeric thermal printer with graphic logo capability. 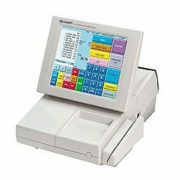 • Scanning Interface – Standard scanning interface for error-free transaction processing and inventory control. 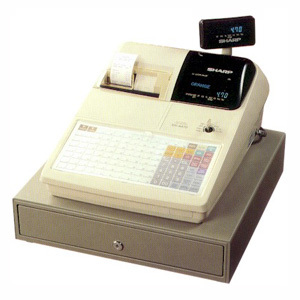 • Expansion Capabilities – True system expansion with two standard RS-232 interface ports to allow for optional accessories such as scale, scanner, slip printer. 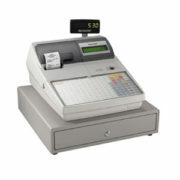 •Charge Posting – Keep track of your more frequent customer purchases for accountability and record keeping. 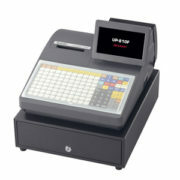 • LED Displays – Large operator and customer LED displays for easier transaction viewing. 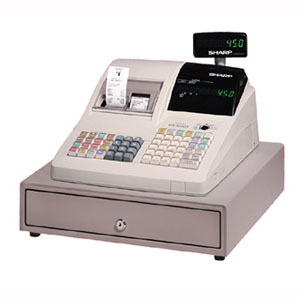 • Age Verification – Monitor the purchase of products that have a minimum age requirement. 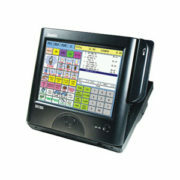 • Easy Programming – From start to finish, interactive programming guides prompt user allowing for quick and easy input. 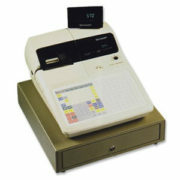 • Reports – Full complement of flash and paper reports to keep track of business activities. 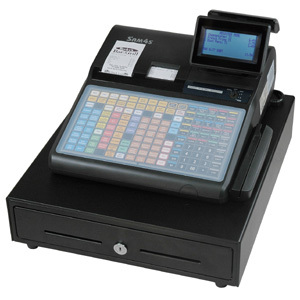 • Back Office Software Solution – Increase the functionality of your Sharp Electronic Cash Register or POS system with optional Back Office Software, a truly dynamic solution for providing the capability for advanced polling, reporting and programming.